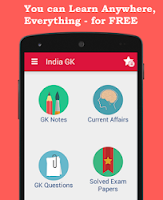 21, 22 January 2018 Current Affairs MCQs, Quiz, Questions: Current Affairs for January 2018, Daily Multiple Choice Questions (MCQs) for India GK, World GK and current affairs with Collection of daily objective type Question by www.Indiagk.net based on General Knowledge (GK) and General Science (GS) Questions for UPSC, State PSC, SSC, Police exam, Railway exam, SBI, Bank PO, IBPC, SSC, LDC, UDC, Army, Airforce, Navy, Coast Guard, Bank Clerk, TET and all entrance examination with current affairs News, Multiple Choice Questions (MCQs) available on Website www.IndiaGK.net and Android Apps with daily updates:. Which city to host the 4th edition of India International Science Festival (IISF-2018)? Chandi Lahiri, the iconic cartoonist has passed away. He hailed from which state? Jo Jo White, the renowned basketball player has passed away. He hailed from which country? India’s first garbage fest ’Kachra Mahotsav 2018’ has organized by which state? Who has been appointed as the new DG of National Security Guard (NSG)?